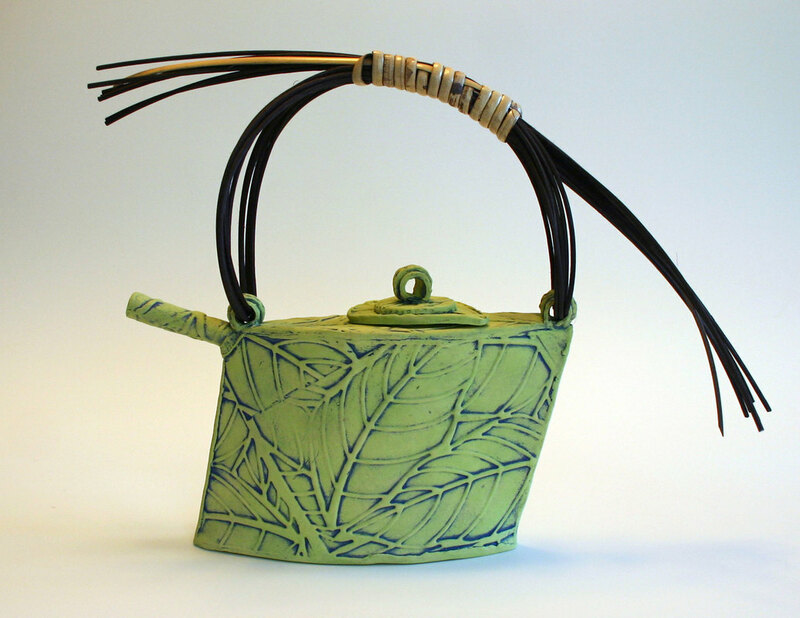 My ceramic work is hand built using slab construction or altered extruded elements. I prefer to work in stoneware or high fire paper clays. I always sketch my ideas before I start a project. I'll make one or two prototypes before I cut templates or patterns. Over time templates allow me to revisit ideas, edit, combine shapes, and evolve my ceramic forms. I use a variety of layered glazes and slips to build interest and add texture to the clay surface. Each piece is fired twice, bisque fired to temper the ware for glazing, then a second time to over 2300° F in a gas and/or electric kiln. about their source, practical purpose, or utility.